The latest company to enter the social TV fray isn’t being very vocal about how it’s planning to revolutionize the market. 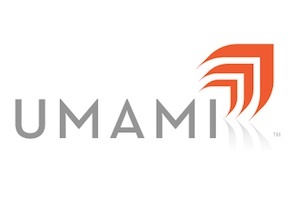 But that hasn’t stopped New York City-based Umami from being able to raise funds. The startup announced a modest $1.65 million funding round Tuesday that it will use to grow its team and build a new platform to connect networks with their fans. So what is Umami? The Japanese word refers to a certain type of savoriness associated with kombu seaweed and dried bonito flakes. As for the startup, well, it’s building a platform to enable networks to better engage with their viewers. Umami hopes to differentiate itself in an already crowded social TV space, which includes a number of TV check-in apps, as well as some others that have been built to tap into the engagement of conversations happening on social networks like Twitter and Facebook. Unlike previous social TV apps, which were built primarily with the consumer in mind, Umami is also focused on finding ways to provide value to the networks and content producers that actually create the shows viewers are talking about online. According to CEO Scott Rosenberg, Umami will not just create an easy way for networks to re-use existing assets such as behind the scenes videos, photos and other creative assets to build mobile experiences. It will also provide the kind of engagement and viewer data that will allow those networks to sell interactive advertising enabled by its platform. Rosenberg knows how important data is to make a sale, as he just spent the last few years as VP of Advanced Advertising at Rovi, (s ROVI) where he sold interactive TV advertising to TV networks and consumer brands. He hopes to leverage that experience, along with the Umami platform, to provide networks and advertisers the types of metrics they need to justify social TV campaigns. “If they can’t make more money from this, they won’t be a part of the party.” Rosenberg told us in a phone interview. If you can prove, for instance, that your social application leads viewers to spend more time on the network or to have more brand recall on a sponsor’s message, you can actually use that data to get advertisers on board. “If we do our job well, networks will sell more ads and sponsorships,” he said. For now, Umami is keeping the platform that enables this — and its corresponding consumer-facing applications — under wraps. But the startup expects to provide more information over the next few weeks. We’ll keep you posted once we’ve gotten a chance to see what’s under the hood. another great application! without a doubt online tv is thenext big thing! i just subscribd at tvhod for my online tv needs. On-demand television only addresses one use-case. There are still plenty of users who, much of the time, just want to sit back and have programming pushed to them. These users view the on-demand model as too much work. Imagine a family of 5 arguing over which television show to stream on Hulu. It takes arguing over the remote to a whole other level. So, if there’s another model that uses a social graph to decide which content to push to a viewer without them having to make the decision, perhaps that’s not a bad thing to come home to after work. Either I’m getting old or I’m just dense. Can some one explain to me how “social TV” is supposed to be the next big thing and why they are getting investment money? TV as we know it has plateaued, if not starting its decline. Users want to watch content on their terms, not the cable/broadcast companies pre-defined schedule. The mythical cord cutter is becoming a real factor whether the cable industry or broadcast industry is ready to admit it or not. So all these start-ups diving into social TV confounds me. That said, if they can transition to the on-demand, streaming paradigm, which they may be doing (I’ve not been following this very closely yet), they may have an opportunity. Now back to Umami, if they are working with the content distributors to make their features more accessible in social media, maybe that makes more sense. But for me personally, I don’t really care what my friends are watching and I don’t care to post what I’m watching. So maybe I’m getting to be an old fuddy-duddy.